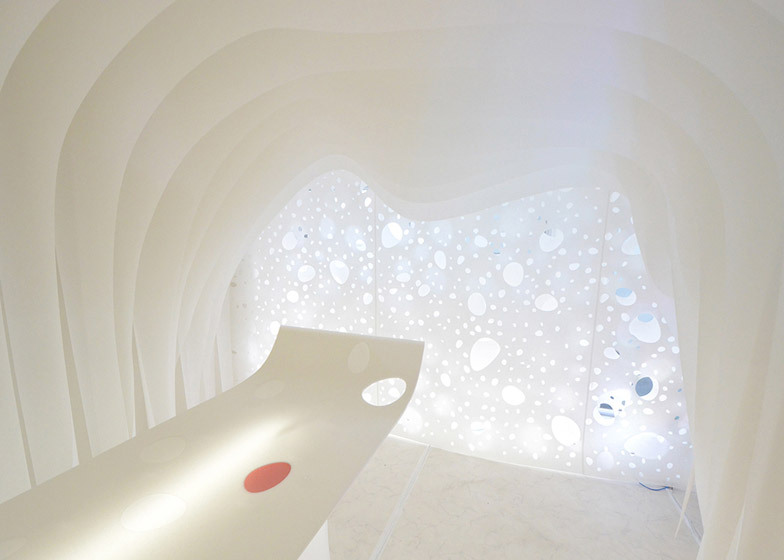 Japanese architect Kotaro Horiuchi has created a white cave-like space in his office by hanging sheets of glass fibre paper from the ceiling (+ slideshow). 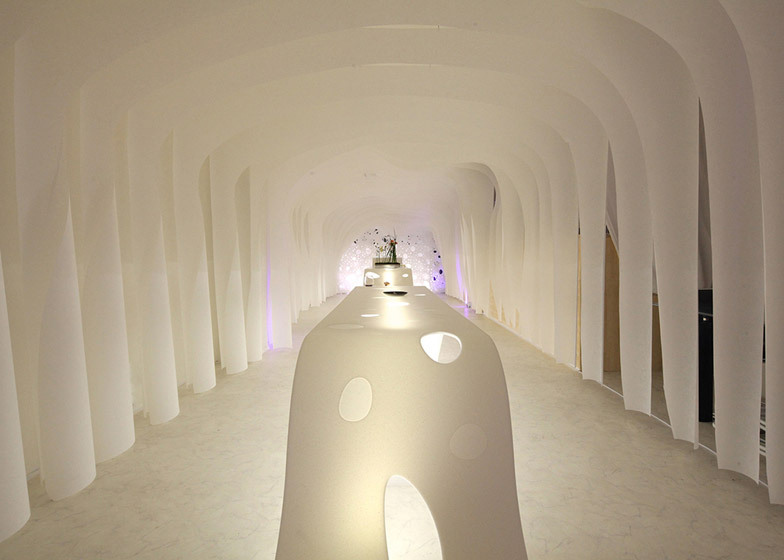 Paper Cave was created as the second part of Kotaro Horiuchi's Fusionner project. 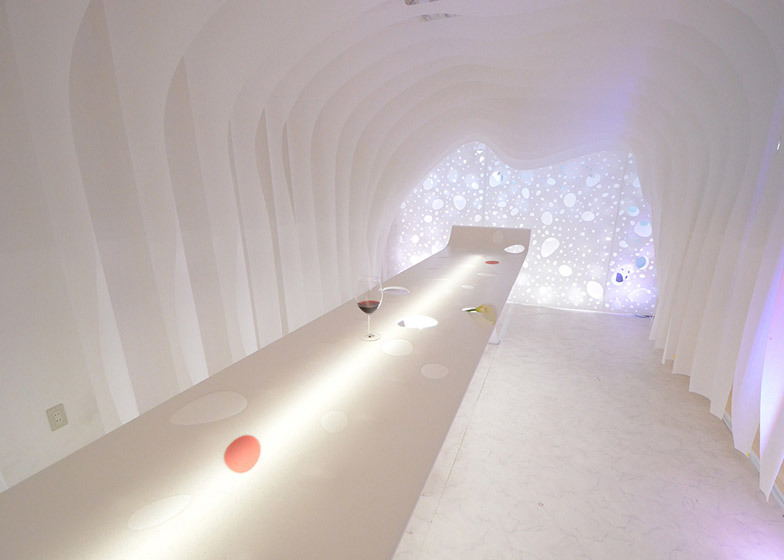 For Fusionner 1.0, Horiuchi installed two punctured membranes across Gallery White Cube in Nagoya so visitors could pop up through the holes. 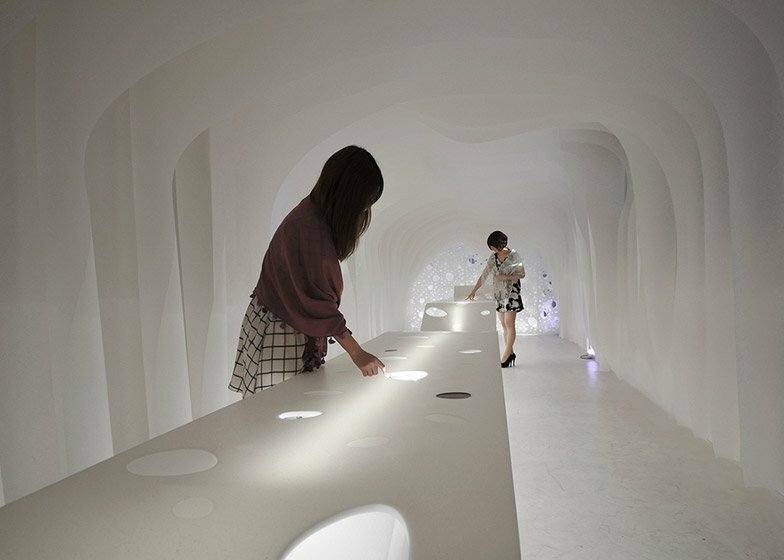 Horiuchi extended the exhibition by creating Fusionner 2.0 - Paper Cave: a permanent exhibit in the office for his architecture studio, which is located next door to the gallery. "As it is basically an office that can be used in many different ways, we needed a neutral space without a specific function," said Horiuchi's colleague Emilie Grout. 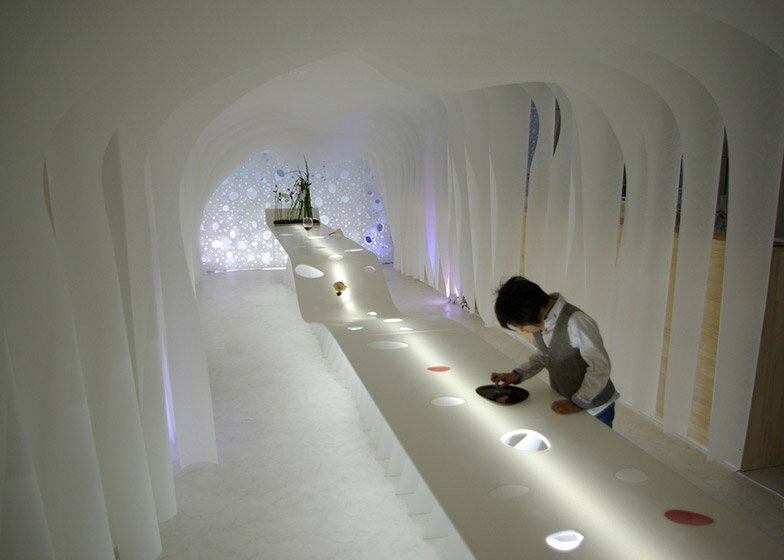 Horiuchi created a white cave-like room by hanging a series of consecutive arches of glass fibre paper along the main space of the office, which runs between the entrance and a balcony at the back. 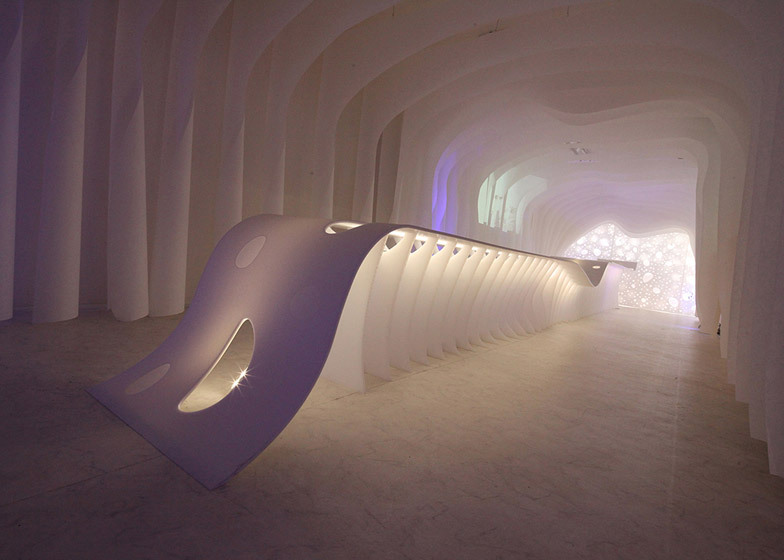 Each layer is curved in a different way to create the sense that the ceiling is rippling. 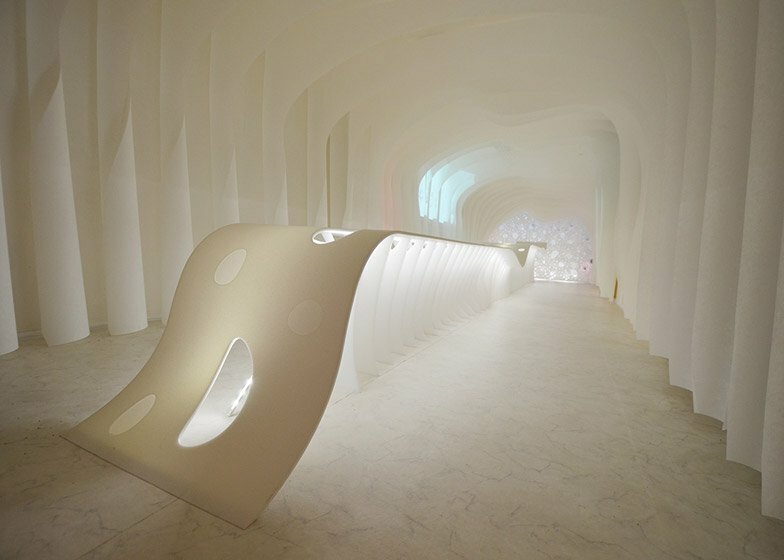 Paper Cave was designed as a white shell that can be adapted for different uses. "It's a place where people gather, discuss, it could be used as an office, a saloon, a meeting place, a lounge or a bar," said Grout. "The use of the place will depend on the people who will use it as far as it doesn't have a specific function." 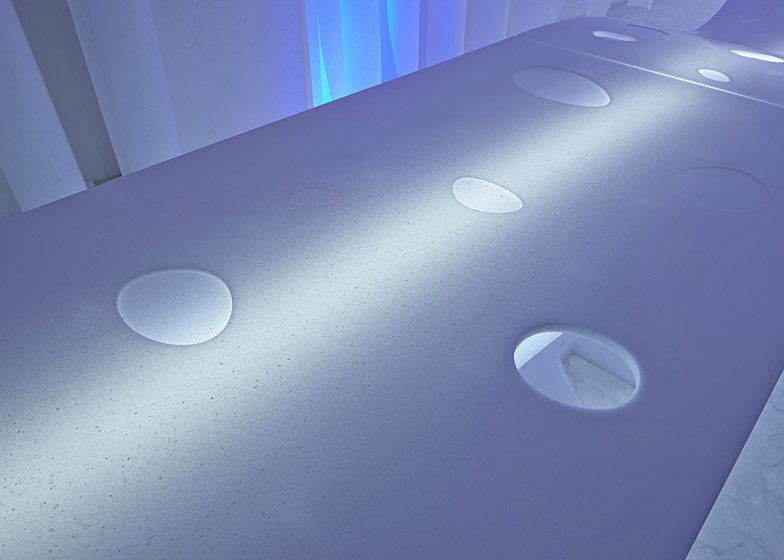 The only piece of furniture in the space is a table made of artificial marble. An undulating top sits on thin legs that run along the underside like a spine, giving the impression the table is not only rippling, but floating. 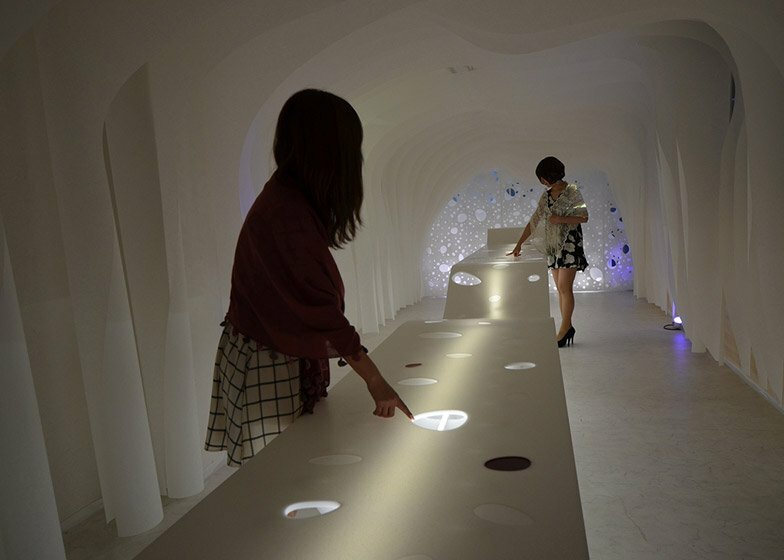 Lights underneath glow up through irregular holes that are cut out of the surface. "The variability of the heights of the table multiply the usability of the space, as do the holes on the table that you may use to place objects," said Grout. 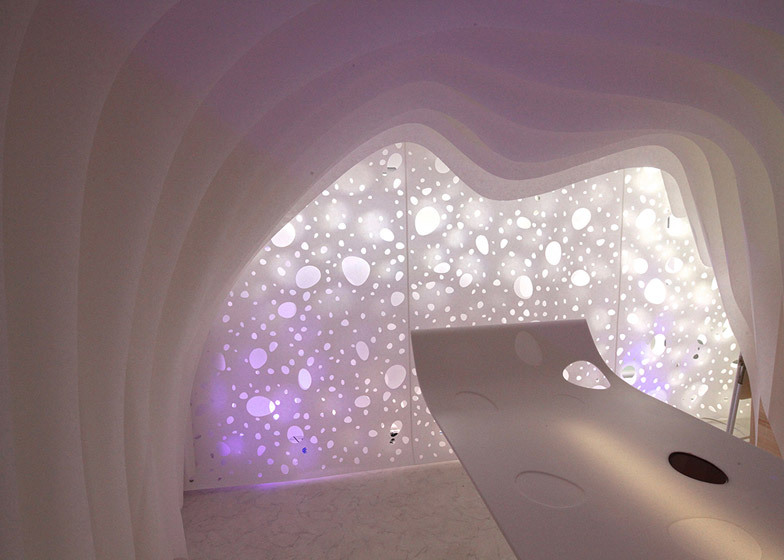 At the far end of the "cave", layers of punctured glass fibre paper have been installed – allowing light to shine through from the rest of the office space. 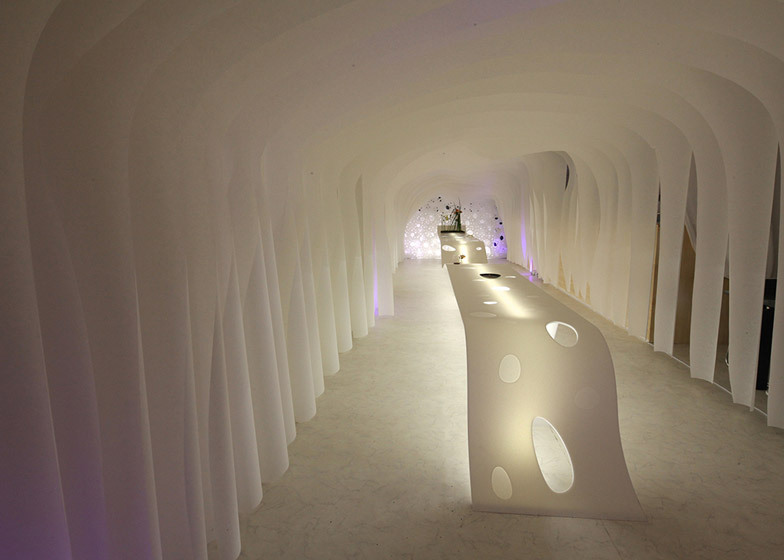 Kotaro Horiuchi presented Fusionner in association with the Design Space Association.